To determine the mortgage and other costs, the initial sales price for a new for sale affordable home must be established. That amount will assist in projecting the expected property taxes and property insurance. Also, the expected mortgage interest rate must be projected, since it is often a matter of 12 to 24 months before the potential buyer will be able to apply for a mortgage, while the home is under construction. To start, estimates of the below factors may be used, but as a proposed development progresses through the approval process, the estimates should be firmed up. Once this information is collected, then the Setting Affordable Sales Price Worksheet in Excel may be used. The maximum County Area Median Income (AMI) adjusted by family size/ the Target Income at 70 percent AMI The county maximum is 80 percent AMI, which is adjusted down to 70 percent AMI to assure a larger number of households will qualify – and the worksheet will calculate this amount. The estimated down-payment by the homebuyer Five percent is typical for families entering into the homeownership market. The estimated mortgage amount This amount will be the sum of the sales price less the down-payment – and the worksheet will calculate this amount. The expected interest rate on a 30 year fixed mortgage The interest rate must be projected forward to the time when the buyer will be securing a mortgage – see below tips for finding current rates and projecting forward. The estimated property taxes on the home To be provided by the local tax assessor, who should provide an estimate based on a projected affordable sale price, not market value. The estimated property insurance cost on the home Local insurance agents may be helpful in estimating such costs, or see below tips for finding premiums. Any estimated common charges to be assessed to each homeowner in the development The developer should prepare a schedule of expected costs to maintain all common elements in a development, and prorate the charges among all units in the development. Any estimated Home Owners Association (HOA) fees to be assessed to each homeowner in the development The developer should prepare a schedule of the expected fees and services of the HOA, and prorate the charges among all units in the development. When estimating an affordable sale price, the interest rate is an important factor because higher rates increase the mortgage payment. Also, it is important to look at timing for completion and sale of the home. If the sale will not occur for one or two years, it would be important to factor in a possible rate increase based on expected future trends. If rates appear to be stable, then adding .05% to 1% to the current rate for each year between the time of the projection through to expected sale should be sufficient. But if there is more volatility in the market, increasing the rate by a higher factor would help to manage any steep change. In general, it would not be a good idea to project a rate lower than current rates in the market place at the time a sales price determination is made. If the rates do actually go down by the time of the sale, such change would increase affordability. However, any increase will reduce affordability, making it less likely that the home will be affordable to the families who were intended to live there. BankRate.com is one site that offers much information, and will provide trending information. Financial Forecast Center™ also provides considerable forecasting information and trending. 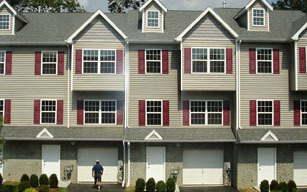 Information needed to determine the property insurance cost for the home must include detail from the developer regarding the form of ownership; and, in the case where there will be common ownership as in a condominium or homeowners association, what elements will be insured by the condominium entity and what elements are to be insured by the homeowner. In an apartment style complex, the owner often only owns the interior elements of the apartment, and the building exterior and any areas in common are owned and insured by the condominium association. In this case, the owner’s property insurance will be relatively inexpensive – but the common charges assessed monthly by the condominium will include the owner’s share of the insurance cost for the building and common areas. Once the ownership structure is clear, insurance agents may provide some guidance. Also, some online insurance vendors may have calculators that can be used. Another good source is the NYS Department of Financial Services, which regulates and monitors the insurance industry. DFS posted results of a cost survey on line, which can provide baseline information. We have gathered the more frequently asked questions and answered them as fully as possible. If you have a question that is not listed below, first read the other pages about affordable housing to see if the topic is covered there. Q: Who is eligible to live in affordable housing? A: The answer depends on the financing program or laws which established the housing. Westchester County has adopted federal guidelines for affordability of housing that is made available for rent or purchase at a price affordable to households with incomes that are at or below the current Westchester County Area Median Income (AMI) limits. These income limits are published by the U.S. Department of Housing and Urban Development and are adjusted for household size. 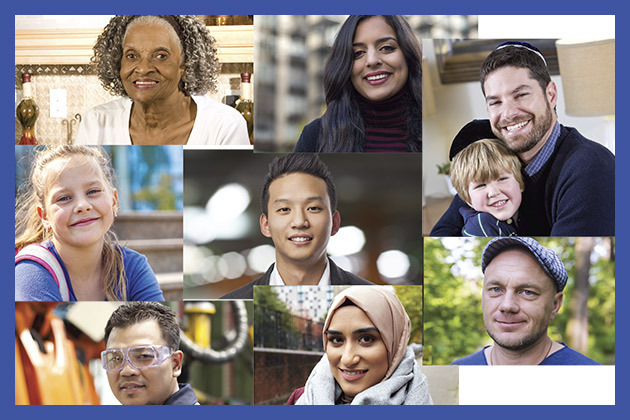 The county’s guide on income guidelines currently in effect, provides additional information which may be of interest, including how these income limits translate into income eligible for housing costs, rent limits and utility schedules. Q: How long must the housing stay affordable? A: The county requires that new fair and affordable housing units provide for a 50-year affordability period that is recorded on the property deed and describes all of the requirements of the housing, including resale formulas for homeownership housing and ongoing rental restrictions. Q: Can the town or village have its own affordability requirements? A: It depends on the financing source of the units. If the affordable housing is financed using federal, state or county financing, the affordability will be subject to the requirements that are part of the financing program regulations or other control documents. If, however, the housing was created strictly through local ordinance, then local guidelines may apply. Q: Does the county monitor the fair and affordable units it has financed? A: Yes. 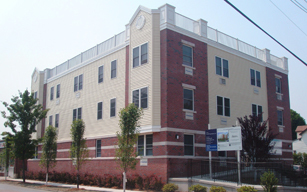 All fair and affordable units financed with any Westchester County source (including federal and state sources administered by Westchester County) are monitored by staff in the county Planning Department. Monitoring includes verifying residency, appropriate turnover of units, rent rolls, and inspections, as appropriate. Q: If our municipality has locally created affordable units, can they be brought into the county’s program? A: Potentially, though the transition may need to happen upon resale of any homeownership units. If your municipality uses an income limit higher than the county’s, then a homeownership unit may need a subsidy to keep the current owner from losing money, but would allow the next owner to purchase the unit at a lower price. This will allow someone with a lower income, in line with the county’s limits, to purchase the unit. Q: What is a municipality’s responsibility under the Affirmative Fair Housing Marketing Plan? A: The municipality will be asked by developers and the county to provide information about housing opportunities on any local networks and to employees, including requesting posting information on any Web sites or other means of communications, shared press releases, public service announcements, fliers and links to the county’s Homeseeker page. If your municipality offers senior services, you may also be asked to disseminate information to the program participants. Q: If a municipality owns a parcel of land that could be suitable for fair and affordbale housing development what are their options? A: Unless the municipality has a public housing authority with the capacity to undertake the development of the parcel, essentially the municipality would have two options. The municipality could undertake its own site plan or subdivision review, then identify a developer potentially through the release of a Request for Proposals, and have that developer purchase the property and build the units. Or the municipality could identify a developer potentially through the release of a Request for Proposals without any site plan or subdivision approvals in place. Westchester County defines affordable housing as housing that is made available for rent or purchase at a price affordable to households with incomes that are at or below the current Westchester County Area Median Income (AMI) adjusted for household size. 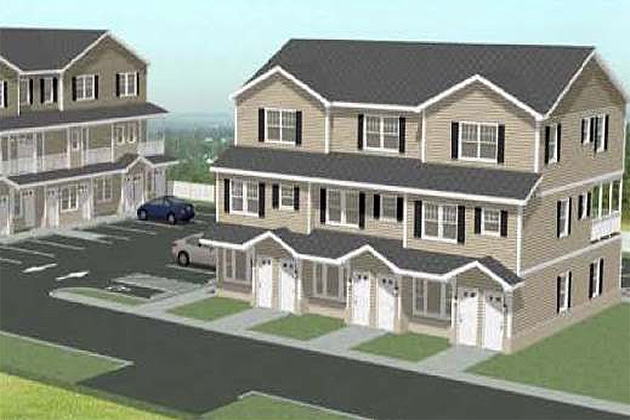 The guidelines are based on the US Department of Housing and Urban Development (HUD) requirements. The county has prepared a guide showing the income guidelines currently in effect, the Westchester County Area Median Income, Sales and Rent Limits. The central document, which ensures all affordability requirements are met, is the deed restriction that is to be filed with the deed to the property. This document includes several parts, starting with a Declaration of Restrictive Covenants (DRC) outlining the purpose of the restrictions, the affordability requirements, and the term of the requirements. It also includes a number of necessary legal provisions. Included in the DRC is a “Schedule A” that should contain the metes and bounds description of the property for the fair and affordable units; and a “Schedule B” that contains all of the specific affordability requirements that will apply to the property and any other related obligations. Before the initial sale of a homeownership property, an appropriate sales price must be set. It is important to note that the sales price, even for identically sized units, may vary from municipality to municipality, and even from one development to another. There are many factors that are calculated into setting an appropriate sales price, including taxes, any Home Owners Association (HOA) common charges, and available interest rates. The county has prepared a sample worksheet (see: Setting an Affordable Sales Price) that municipalities may use to identify the appropriate sales price for an affordable homeownership unit within their municipality. It is always important to remember that sales prices should not be set for the maximum allowed, since family sizes and incomes will vary; and families may not have perfect credit to qualify for a mortgage. For all homeownership properties, provision is made to set the resale price of the home should the initial homebuyer, and future owners desire to sell. The resale formula provides that the seller can set the price based on any potential increase in the Consumer Price Index (CPI) during the time they owned the home. The CPI is a good measure of what is happening in the economy and is a fair way to determine increased value of the home since the seller purchased the home. There is also provision in the formula for capital improvements made by the seller. 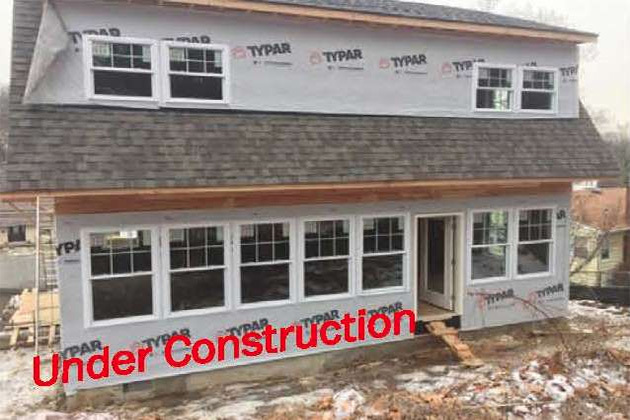 Any improvements must be documented by invoices or receipts and, if conducted some time before the projected sale, are adjusted based on the wear and tear (depreciation) on the improvement since installation. Inspection of the improvements may be conducted. For all rental properties, annual rent increases or adjustments may be allowable, but the initial and subsequent rents must still be affordable to the intended residents. The deed restrictions will describe any additional limitations on rent increases. Eligibility of the applicants for affordable housing is determined by a review of source documents showing the household’s annual income, such as wage statements, interest statements, unemployment compensation statement, etc. HUD provides specific guidance on how to make such determinations in the Code of Federal Regulation Title 24, Part V, Section 5.609. Green and smart technologies can be incorporated into new and existing structures to make living in them more comfortable and affordable. Also, you can learn about expectations for marketing the fair and affordable housing development to all eligible people. The monitoring guidelines section will explain housing standards and practices required for homeownership and rental developments. Any fair and affordable units funded by the county, particularly those that will count towards the county’s goal of creating 750 units in eligible areas, will be monitored by the county. If county funds are provided to your municipality to assist with infrastructure costs related to the development of fair and affordable housing, an Inter-Municipal Developer Agreement (IMDA) will be the document that will guide the use of the funds and ensure the continued affordability of the units. 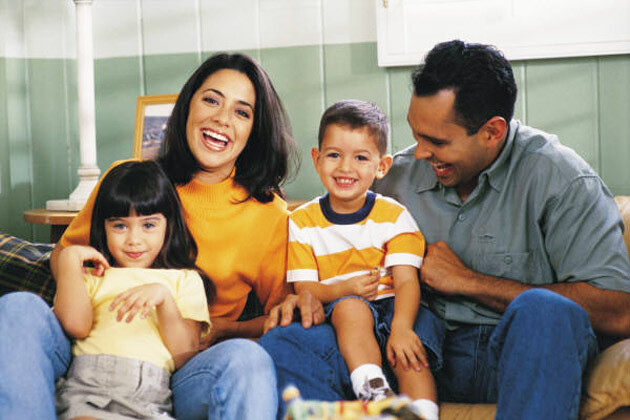 Westchester municipalities boast a variety of fair and affordable housing opportunities. Some units are locally administered; others follow the county’s guidelines and often include county funding. 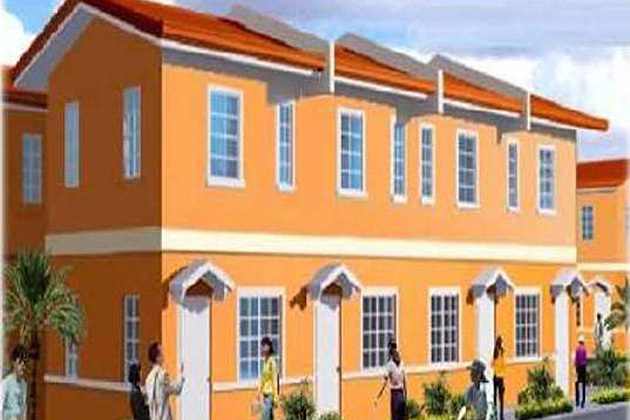 See the listing of completed housing developments funded by the county. This listing is organized alphabetically by municipality. It will be updated as new developments are completed. Where possible, photos of the properties have been included. However some properties have changed in small ways since they were first completed and the picture was taken. 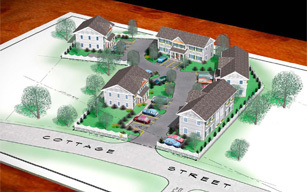 The pictures in the listing demonstrate the variety of housing assisted by the county; and how such housing through local control fits within the character of that community. Fair and affordable housing will vary by design, size, lay outs, tenure and even the type of structure. 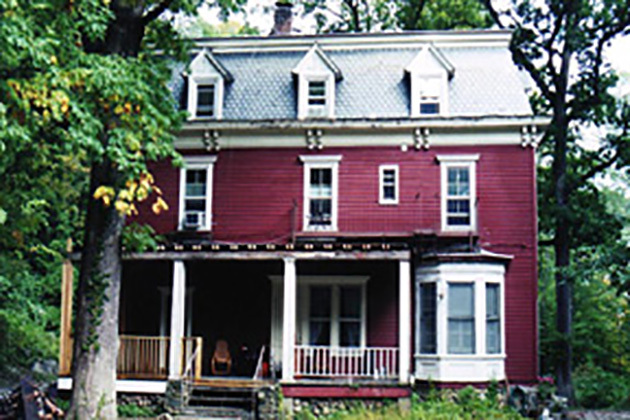 Homes have been built as new construction, rehabilitation of older units and even the adaptive reuse of a vacant structure originally built for some non-residential use. Other important information includes the number of units in each development, year completed and term of affordability restrictions. It should be noted that units completed when the county’s housing programs were just beginning will have shorter, required affordability periods. In some cases, the affordability period has already expired. More recently, the county has required a more substantive affordability period – of at least 50 years. Some municipalities have required that units stay affordable in perpetuity. Prior to the development of the Model Ordinance to encourage new fair and affordable housing, at least 31 Westchester municipalities had already adopted some form of local regulations related to affordable housings. Several of these ordinances include elements of regulations similar to those found in the Model Ordinance, while others are very limited in their scope as compared to the Model Ordinance. Several municipalities have had their previous regulations superceded, amended or replaced by regulations developed in response to the new Model Ordinance. Below is a list of municipalities that adopted affordable housing regulations prior to the Model Ordinance. Many of these municipalities’ zoning ordinances can be found at the General Code Web site.